Kisha Christian wanted to be a pharmacist since she was a child. The road to making her dreams come true took some detours, but now she is at home on St. Croix helping her community stay healthy. 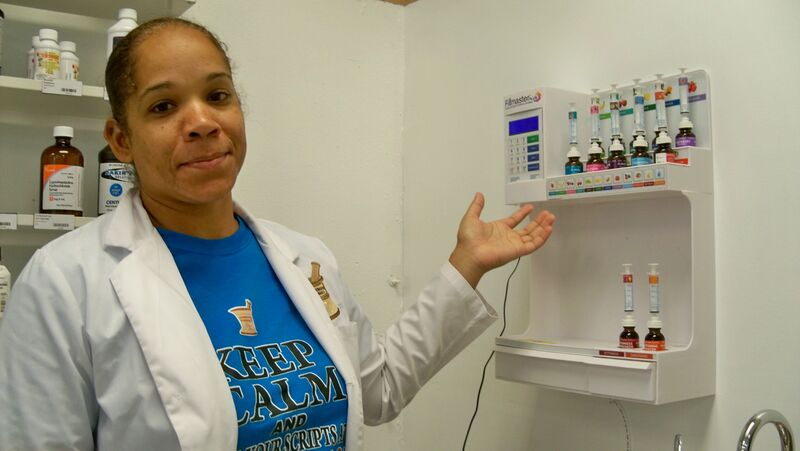 The dream of owning her own pharmacy and doing things her way came to fruition in August when she opened the doors at the Neighborhood Pharmacy. Christian recalled playing pharmacist with her Barbie dolls – “I wanted to be the one to make all the Barbies feel better," she said with a smile – and spending time at her Uncle Angel LeBron’s pharmacy on St. Thomas. LeBron was a big influence and helped her many times during her school years. She had the opportunity to get a feel for her chosen field of pharmacology working in the Virgin Islands Summer Enrichment program. She fell in love with pharmacology the summer of 1991 when she worked in the pharmacy at the Gov. Juan F. Luis Hospital. The following summer she worked at Golden Rock Pharmacy, which she really enjoyed. Christian, born and raised on St. Croix, graduated from St. Joseph Episcopal School in 1994. Christian’s earned a doctorate in pharmacy from the University of Georgia in 2004. After graduating, she accepted a position at Target Pharmacy, where she was promoted to pharmacy manager in three months. During her 14-year tenure with Target, some of her responsibilities included managing and creating strategies to optimize customer care and researching methods to expand the amount of services that could be provided. Having a customer-centered approach with medicine and patient care has made Christian that much more passionate about improving the systems and quality of health care. She moved back to St. Croix in 2011 to give back to the community. Christian founded MTM Consultants of the V.I., where she works as an independent consultant pharmacist responsible for optimizing therapeutic outcomes for more than 30 patients. Since she spent so many years working at a big stateside pharmacy, she knows exactly what most people want and need to get at their local pharmacy. Some of what she offers is a delivery service, for a fee, and there is a drive-up window. She fills blister pill packs, which are prepackaged pill organizer packs that are good for senior citizens to keep track of days and dosages of their medicines. There are even flavored drops that she can put in medicine to cover up a bad taste. She offers, for a yearly fee, a discounted prescription drug plan for uninsured people. And she texts patients when their prescriptions are ready. Christian is accepting new customers and will easily transfer prescriptions. People just have to bring in their current medicine bottles. She said her prices are comparable to Kmart she accepts all insurance. The bright and cheery pharmacy is decorated in colors of the beach in shades of the white sand and turquoise sea. The shelves are well stocked with items for first aid, oral care, baby care, beauty products, vitamins and more. She sells locally made Itiba body care products. And Christian said she will always carry the very popular, Dr. Bronner’s Pure Castile Soap. The pharmacy is in the little plaza at the intersection of West Airport Road and Centerline Road. Christian believes the location is perfect, in the right neighborhood, right between both highways. Christian is hosting a grand opening and health fair from noon to 4 p.m. Oct. 25. There will be entertainment by ViVid Streaming DJ’s and “WE Deh Yah” Quadrille Group. There will be free cholesterol and diabetes screenings, and blood pressure readings. The Department of Health will be administering free flu shots, and the pharmacy will conduct Medicare enrollment from 9 a.m. to 3 p.m. on Oct. 23. “For me it’s all about serving my community, and innovation,” Christian said. She recently partnered with ViVid Streaming to raise money for a new motorized wheel chair for a local man. And she gave out 300 backpacks filled with school supplies. The only thing Christian finds challenging is not being able to help everyone. But she feels good about being an influence and inspiration for others. She even goes as far as getting her hair cut every year for “Locks of Love” for wigs for children suffering with medical hair loss. “A domino effect of positive things in the community would be great to see,” Christian said. The pharmacy is open 8 a.m. to 7 p.m. Monday through Friday and from 9 a.m. to 6 p.m. Saturday. 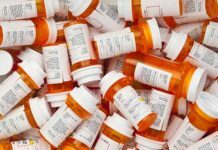 More information about transferring prescriptions is available by calling 340-718-6784.